Hedge Trimming and Cutting Service. In order to maintain a clean yard free of weeds with well-kept hedges, tireless hours of pruning and clipping are essential. But who has the time to be a slave to their hedges? At Boca Lawn Care and Landscape Maintenance we are committed to keeping your hedges trimmed and in beautiful condition. Because the climate of South Florida is wet and moist, hedges grow at a rapid pace. 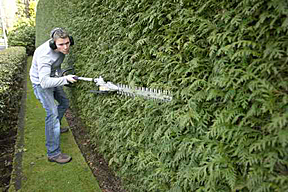 Trimming is not only done for visual appeal but regular trimming is necessary to train the hedge to grow to its fullest capacity. 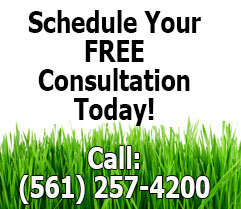 Managing your hedges is critical to the success of your Boca Raton yard. There are many different types of hedges in your neighborhood and we know how to cater to the specific needs for each individual type. Some require more frequent trims, such as the ficus, while others such as the podocarpus, require much attention to ensure full growth. Seasonal changes affect growth patterns as well, and we carefully take into consideration all factors when working with your hedges. For expert hedge trimming service in Boca Raton call Boca Lawn Care & Landscape Maintenance today. ©2016 Bocalawncare.com - All rights reserved. or transmitted for any purpose without specific written prior permission from Bocalawncare.com.